Effective leadership doesn't just happen. If you're looking for a resource to help develop your young people's leadership skills, The Leadership Lab, a tested and proven resource, is just what you need. 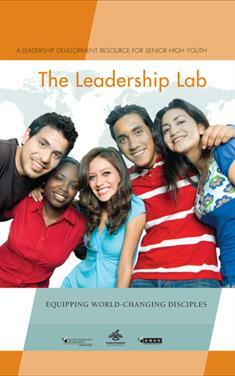 The Leadership Lab takes a holistic approach to leadership development. It keeps a balance between improving leadership and helping young people grow in their relationship with God and others. Perhaps you've heard the popular saying, "Youth are the future of the church." But given proper guidance, youth can be effective leaders in your church right now. Equip them with the tools and confidence they need to be the change they wish to see in their church and the world.